PSSA testing will begin on MONDAY. Please be sure to encourage your 6th grader to get a good nights rest and to eat a healthy breakfast on testing days. Also, students may wear school-appropriate pajamas to school on Monday! **Everyone needs to hand in the green permission slip from Mrs. Barnett for our district-wide Track and Field Day by this coming MONDAY! Please also indicate t-shirt size on the form. See below for some important upcoming dates, including our PSSA testing that will begin on April 15th. 4/16 We are REDy for the PSSAs! Wear red. 4/17 We’ve got taking the test down to a T! Wear your favorite T-shirt. 4/25 Our future is bright! Wear neon colors. 4/30 We are a Hambright team! Wear a jersey or team shirt. Good morning! My class will have an opportunity to shop at the Book Fair tomorrow (Tuesday) during our Library Instruction. Students may bring in money if they wish to purchase anything. Thank you and Happy Monday! Also, we have a scheduled early dismissal on FRIDAY. Students will be dismissed at 1:30pm. Tonight!! 5:30-8pm – Rollerskating at the Castle – Come out and have some fun with your Hambright friends! Friday (tomorrow) is our Ellis Island Simulation. Costumes/props are welcome but not required. Challenge! Please see Mrs. Barnett if you have any questions! Kids Heart Challenge will be rescheduled for next Thursday, Feb. 28th from 3:30-5:00pm in the Hambright Gym! Mark your calendars for February 22nd! 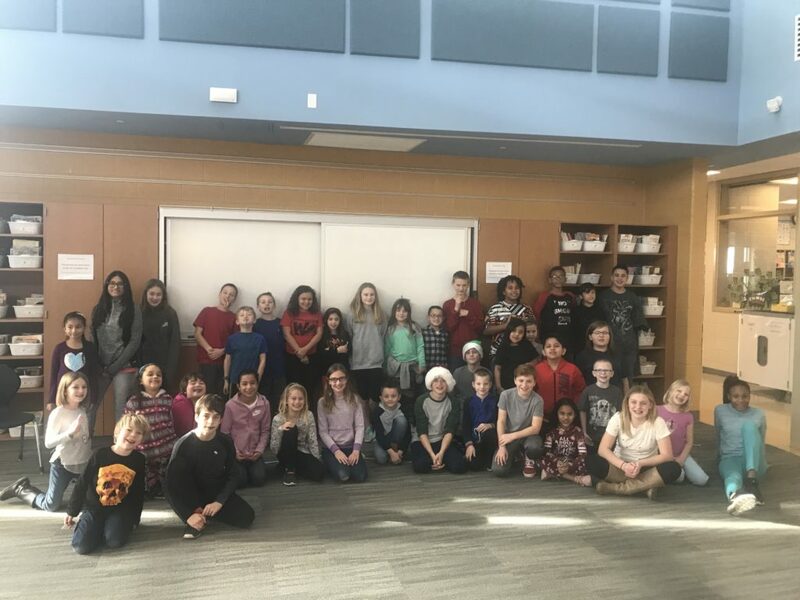 As a way to promote career exploration and awareness with our elementary students, the Penn Manor elementary schools are planning a special day across the district. On Friday, February 22nd students are invited to wear clothing that represents careers they may be interested in exploring as an adult. Adults in the building are encouraged to wear college/military/post secondary clothing. REMINDER: There is NO SCHOOL on Monday, February 18th in observance of President’s Day. Have another great, long weekend! TODAY – Report cards are coming home! Please sign the envelope and send it back to school. February 14 – We will have a Valentine Exchange on February 14th. A list of students will be sent home today. My only rule is that if your child participates in the exchange, he/she MUST bring a Valentine for every member of the class. February 1st – Wear Red AND Report cards will come home. Please sign the envelope and return it to school. February 8th – Wear your favorite sports team jersey! March 4th – Human Growth and Development Lessons – An informational paper was sent home yesterday. There is no permission slip for this lesson but if you do NOT want your child to participate, please contact Lisa Heisler, the school nurse. We had a great week in 6th grade. 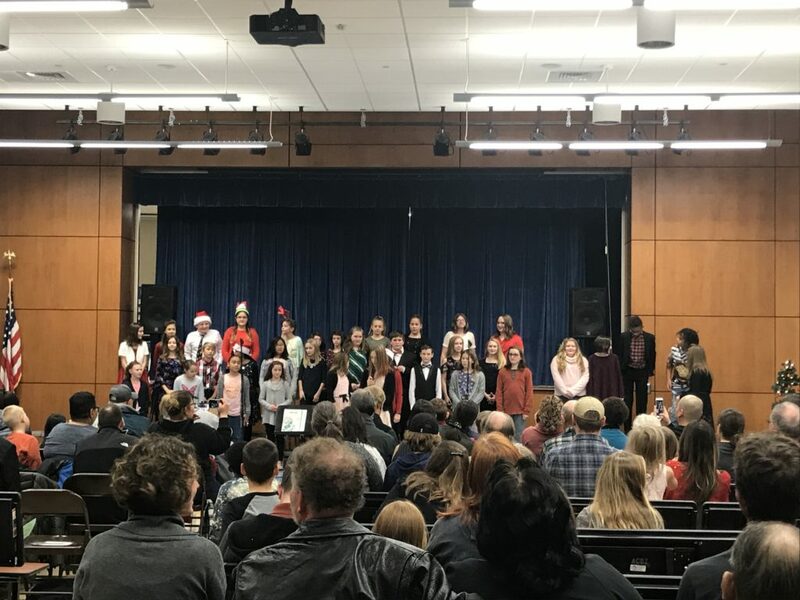 We are working on fun Holiday packets for writing, we performed “How the Grinch Stole Christmas” for our 2nd grade buddies in Mrs. Hoke’s class and our band and chorus had a fantastic concert on Wednesday night! 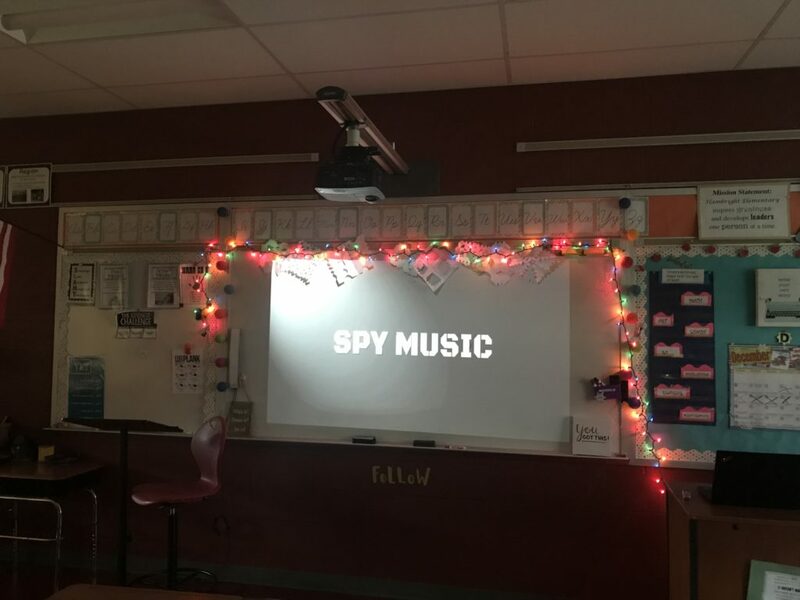 We also began our next reading unit…..A Spy Unit!